The California Highway Patrol doesn't really have convertible patrol cars. This Mustang convertible was borrowed from a dealer and the door markings faked up. Notice how the plastic door covering covers up the keyhole. 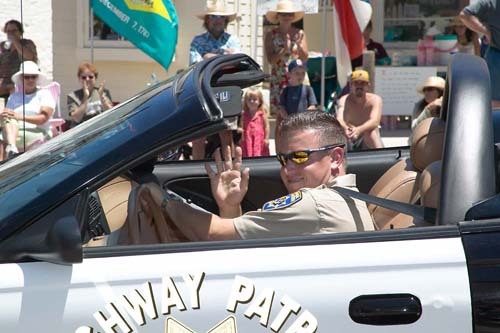 The CHP does, however, have sunglasses, crewcuts, and insincere grins.